Whether it is to add illumination or to accentuate certain parts of a room, wall sconces are wonderful pieces to add to your home interior. 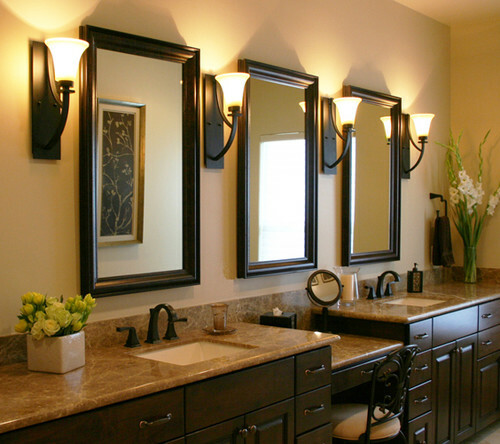 These fixtures are extremely versatile and can function as general, accent, or task lighting in various areas around your home, such as a reading nook, bathroom, bedroom, hallway, dining area, patio, and even to frame a large mirror or painting. 1. Existing decor. Like any fixture, your wall sconces should match the style of your existing décor, so they do not look out of place. 2. Determine the amount of lighting you need. Sconce lights come in varying shades and brightness. Candle wall sconces provide subdued lighting and are perfect for the bedroom and along the hallway. Glass sconces will illuminate your living room with clean white light. 3. Sconces for small spaces. Wall sconces are ideal for small spaces, such as the bedroom and bathroom. A decorative sconce with three shades will be perfect to create an elegant feel in your bathroom. Instead of a lamp, you can mount a light sconce above your child’s bed to save space. 4. Safety. If you have children in your home, consider the height and location of your wall sconces. Heavy sconces, such as iron wall sconces, should be securely mounted at adult eye level so that these may be kept out of children’s reach. Candle wall sconces should be kept away from curtains, bedding, and desks. Reflective of the past, this style provides an upscale feel to any décor with its ornate detailing. Tiffany shades and crystals are popular elements. Simple and sleek would describe this particular style. They usually feature polished or brushed silver-toned metals with a minimalist design that carries a universal appeal, blending seamlessly with a variety of interior design schemes. A blend of modern and traditional, this style presents wall sconces that have an eclectic vibe. Transitional light sconces may embody a traditional essence, yet offer a bit of whimsy and less ornamentation. Transitional wall sconces add character and may stand out as a unique design feature in almost any style of décor. Best suited for country and lodge interiors, rustic sconces often feature darker colors, distressed finishes, and animal motifs. 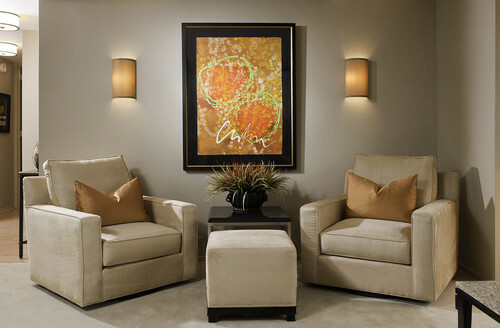 This type of wall sconce grounds the room by directing the light downward, making a large room feel warm and inviting. Up light sconces project upward lighting towards the ceiling, giving an illusion of having a larger room. This type is excellent for an entryway, living room, dining room, or hallway. Adds balanced lighting to the room by casting light in both directions. This type casts a small amount of light, creating a warm and intimate ambience. This type of wall sconce is available in all styles, from modern to rustic. Candle wall sconces usually have shades covering the bulb. This adjustable type of sconce light is ideal for areas where flexible fixtures are needed such as reading nooks, bedsides, and nurseries. This type of sconce is used to showcase wall art by focusing light on a painting or picture.